I have a serious love for running outside. By myself, or with others… it doesn’t matter. If I’ve got music and a pair of running shoes that’s all I need. I currently have… well… (what I thought was) a few decent pairs of UnderArmour running shoes. I would give you the exact styles and product numbers of the ones I own, but after looking online it seems that they’re no longer available… sorry! I discovered UA running shoes back in 2009 and have sworn by them ever since. I love that they form to your feet, and every pair has a fitted foot sleeve inside the shoe. The sleeve is comparable to the feeling of wearing gloves on your hands, since the tongue of the shoe doesn’t move. Some may not like this feature, but I happen to love it. 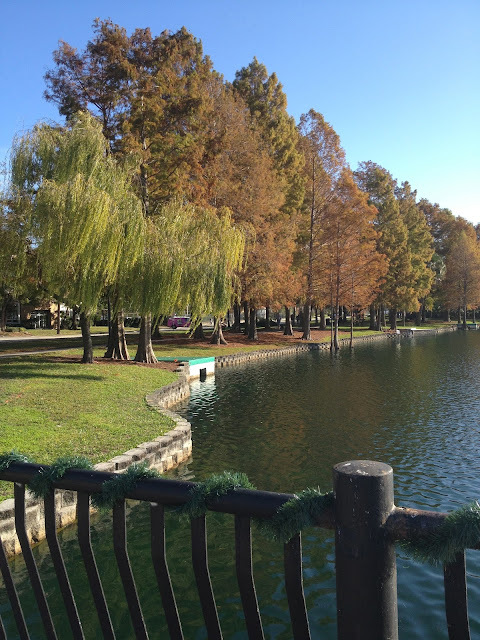 After our run around Lake Eola, Scott my mom and I decided to make a trip over to Track Shack to see what they had to say about them. Boy, was I in for a shocker! Although I loved all three pairs of shoes, none of them were doing my feet (and in turn joints and muscles) justice. 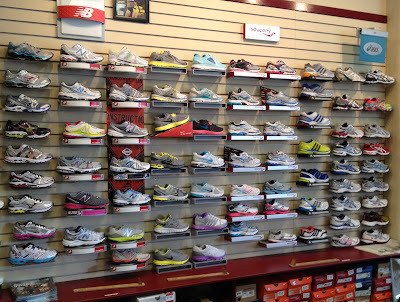 So… where does one even start when picking out their perfect running shoe? Tip #1: Ask for help! I’m no running shoe expert, but luckily there are people out there who are! 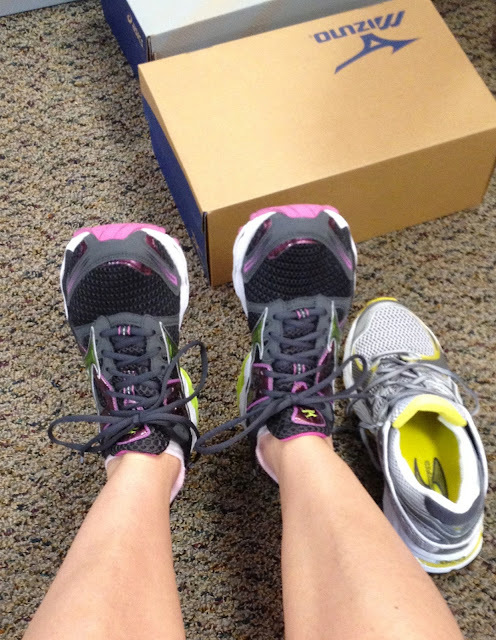 A very helpful associate named Kim was happy to measure and assess my feet, the wear on my current shoes, and even analyze my run and walk before selecting a few options for me to try on. Tip #2: It isn’t about looks. Put your dream of rocking the coolest kicks on the block aside and go with what feels the best on your feet. 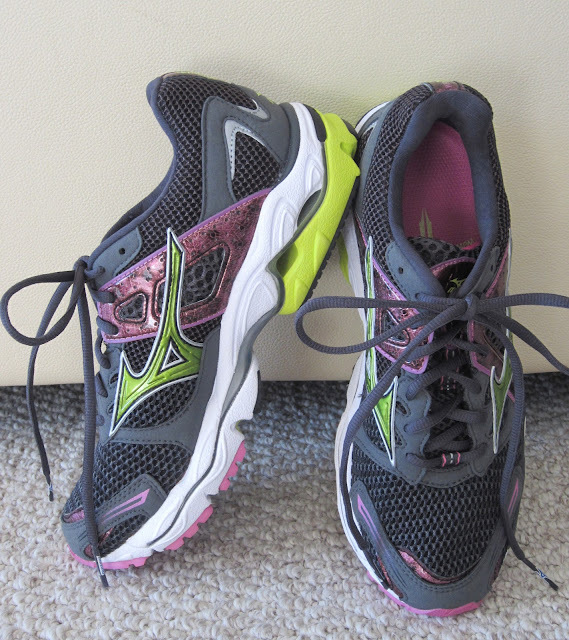 Although the neon sneaks are cool, they certainly aren’t the best fit for you and your running needs. Trust what the associate is telling you. I think this was the number one problem of my Under Armour shoes, since I got a size 7.5 in all three pairs. 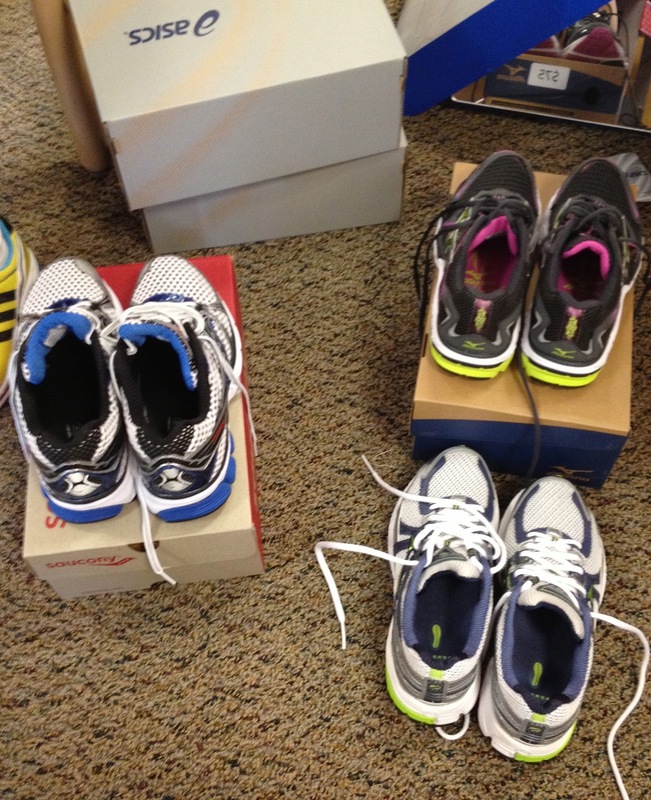 When buying a pair of running shoes specifically for running, it’s important to go up at least a half if not a full size. I wear a size 7-7.5 street shoe, and Kim suggested I go up to at least an 8-8.5. You never want any part of your toes to be rubbing the top or sides of the shoe, which would cause callouses and soreness. Tip #4: Take them for a spin. Of course you’re going to try the shoes on, but ask if it’s possible to go outside for a test run in them. 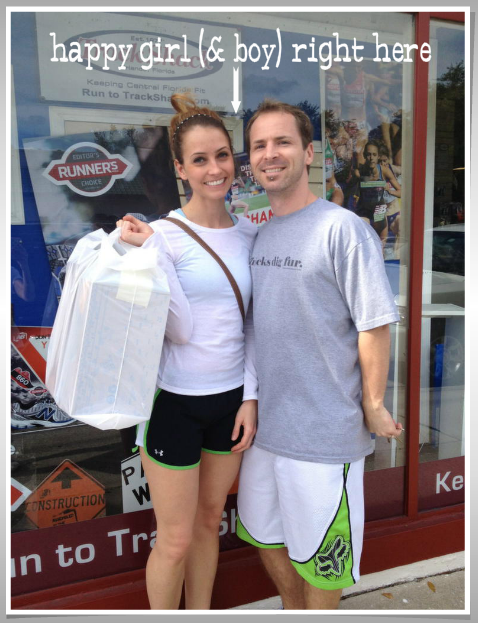 Some running shoe stores, like a Finish Line in the mall for instance, wouldn’t allow you to do this. If it’s a free standing store, like Track Shack, they will probably let you and encourage you to do so. I was completely torn between the Mizuno and Asics pair you see above, until I ran in them both. 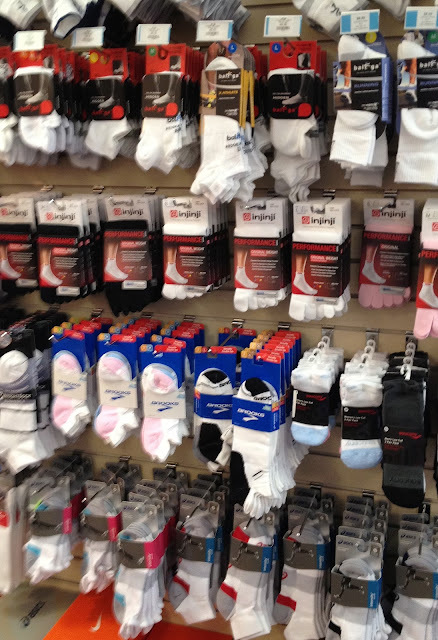 Tip #5: Every running shoe needs a running sock. 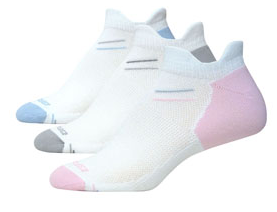 If you plan on wearing cushioned socks when you run (which you should to save your feet) try them on at the store with your shoes. Personally, I like the low cut pairs with a tab in the front and back of the ankle, much like the Brooks 3-pack I bought. Tip #6: Being “on sale” is just a bonus. 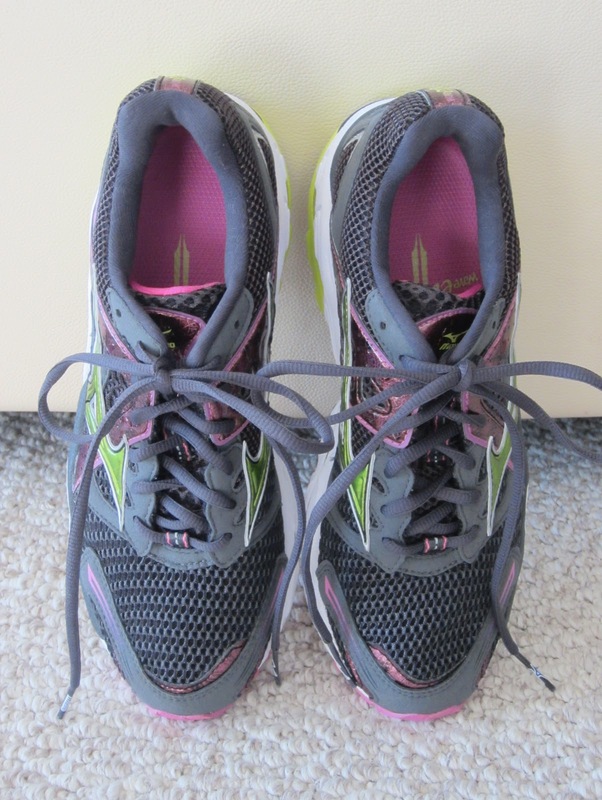 I’m a bargain shopper just like anyone else who likes quality on a budget, but again, running shoes is one of those things you just can’t “skimp” on. Something being “on sale” usually is a deciding factor for me if I’m torn between two brands or two types of the same product. For long distance running, go for what feels the best, no matter which one is more expensive. Somehow, I ended up with my number one pick which happened to be on sale for $75. Mizuno Wave Enigma, size 8.5. The Mizuno Wave Collection was the Featured Running Product at the Track Shack for November – December, so I was excited to give them a try. The Wave Enigma seemed to be the most practical for me with my need for a tight fit, and just so happened to be our lime green & pink wedding colors. *BONUS: they were also on sale for $75, originally $130. This model in particular is going on sale right now in stores, but when I searched for them online the cheapest I found them was for $99 on ebay. I would highly reccommend trying any running shoe on in person first, but if you are convinced these are the running shoes for you too, they are going for $116 on Amazon.com. After my trip to the Shack, I’m realizing my love for running is growing more and more. After testing out my Mizuno Wave’s last night, I wouldn’t trade that $75 I spent on them for anything else. 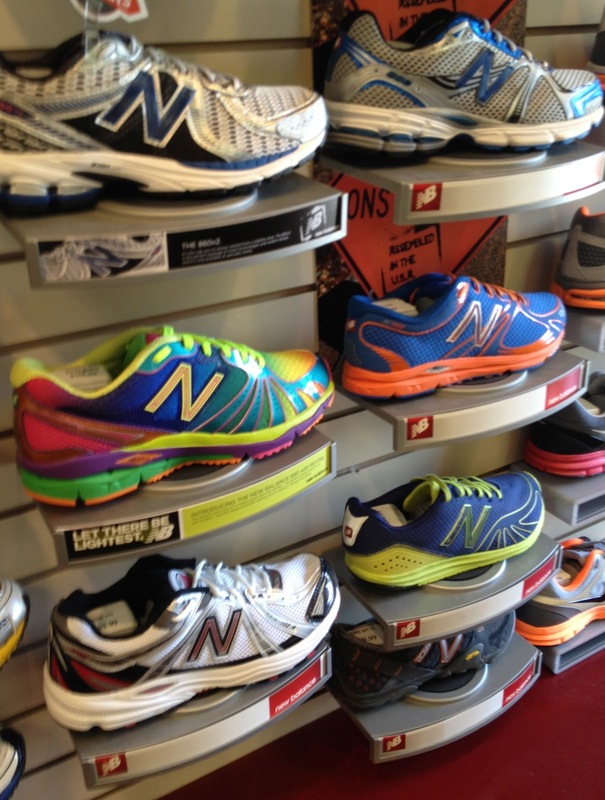 • Have you found your perfect running shoe? What type or brand is it? • Any other helpful tips for beginner runners looking to gear up? Great article! Thanks for the advice. I can’t wait to start.